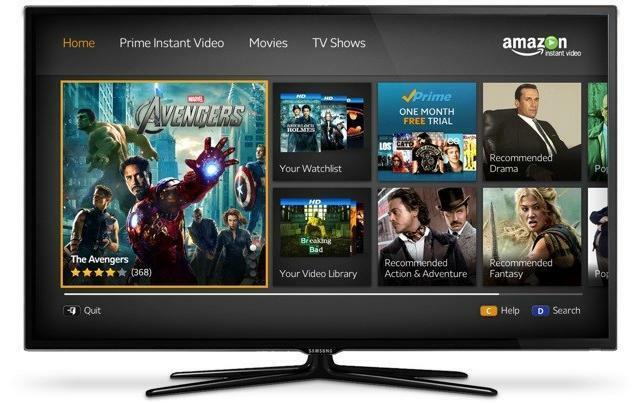 Amazon Prime Instant, the packaged streaming video service that's included with Amazon Prime memberships, now officially supports 4K video streaming. Of course, you'll need to have a 4K TV or a 4K display in order to take advantage of that content, though more and more products are shipping with displays equipped with that sharp resolution. Amazon said that Prime customers can now stream Alpha House, Transparent and Gortimer Gibbon's Life on Normal Street in 4K. Additionally, Orphan Black is available in Ultra HD, and Mozart in the Jungle, Bosch, Hand of God, the After and Red Oaks are coming either by the end of this year or in early 2015, Amazon said, noting that pilots for Cocked, Down Dog, Mad Dogs, Man i the High Castle, Point of Honor, Salem Rogers and The New Yorker Presents will debut in 4K next year. Supported movies include Crouching Tiger Hidden Dragon, Funny Girl, Hitch, and Philadelphia. Finally, customers can also opt to purchase 4K movies from Amazon, including After Earth, American Hustle, Captain Phillips, Crouching Tiger Hidden Dragon, Elysium, Godzilla, Hancock, Moneyball, The Mask of Zorro, The Monuments Men, The Amazing Spider-Man, The Amazing Spider-Man 2, The Da Vinci Code, The Patriot, Think Like a Man Too, and This Is the End. If you have a display with a resolution greater than 3,840 x 2,160, head to Amazon Instant Video to take advantage of the sharper content now. SEATTLE–(BUSINESS WIRE)–Dec. 9, 2014– (NASDAQ: AMZN) — Amazon today announced that Prime members and all customers can now instantly enjoy blockbuster movies, hit TV shows and Amazon Original Series, in Ultra HD picture quality—a premium resolution that has four times the number of pixels as standard full HD. Ultra HD movies and TV shows are accessible through the Amazon Instant Video app on compatible Ultra HD smart TVs. Available at no additional cost to their membership, Amazon Prime members can now binge watch Amazon Original Series including the sophomore season of fan-favorite Alpha House, the critically-acclaimed Writers Guild of America nominated series Transparent, and children's series Gortimer Gibbon's Life on Normal Street in high-quality 4K picture resolution exclusively on Amazon Prime Instant Video. In addition, Prime Instant Video is the exclusive online-only subscription home for streaming the hit BBC thriller Orphan Black, which is now available in Ultra HD. The highly-anticipated upcoming new line-up from Amazon Studios including primetime series Mozart in the Jungle, Bosch, Hand of God, The After and Red Oaks will be available for streaming in Ultra HD on Prime Instant Video later this year and next year. The seven new pilots from Amazon Studios—Cocked, Down Dog, Mad Dogs, Man in the High Castle,Point of Honor, Salem Rogers and The New Yorker Presents—will also be offered in Ultra HD for all customers to watch and provide feedback on, when they debut early next year. On top of the selection of TV series now available in Ultra HD, select movie titles on Prime Instant Video from Sony Pictures Entertainment—Crouching Tiger, Hidden Dragon, Funny Girl, Hitch and Philadelphia—are available for Prime members to watch and enjoy in the high-quality 4K picture resolution. "We want to deliver the best entertainment experience, and offering Ultra HD movies and TV shows raises the bar on quality and innovation that customers have come to expect from Amazon," said Michael Paull, Vice President, Amazon Digital Video. "We're also excited that Ultra HD is the latest benefit of the Amazon Prime membership, giving members instant access to great movies and TV shows in a premium picture resolution at no additional cost." In addition to all the great Ultra HD movies and TV shows on Amazon Prime Instant Video, all Amazon customers can enjoy the previously announced special musical performance, Tony Bennett & Lady Gaga: Cheek to Cheek LIVE! in Ultra HD. The concert, sponsored by LG Electronics, is now available in Ultra HD on Amazon Instant Video. All Amazon customers will also have access to purchase a selection of movies, with some starting at $19.99, in the high-quality 4K picture resolution of Ultra HD from Sony Pictures Entertainment on Amazon Instant Video includingAfter Earth, American Hustle, Captain Phillips, Crouching Tiger, Hidden Dragon, Elysium, Godzilla, Hancock, Moneyball, The Mask of Zorro, The Monuments Men, The Amazing Spider-Man, The Amazing Spider-Man 2, The Da Vinci Code, The Patriot, Think Like a Man Too, This Is the End, and many more. Amazon Ultra HD movies and TV shows can be accessed on compatible Ultra HD smart TVs, including models from LG, Samsung and Sony, with more added next year. Customers who are not already Prime members can sign up for a free trial at www.amazon.com/prime. For information about Ultra HD and the latest Ultra HD compatible televisions and devices, visit www.amazon.com/ultrahd.